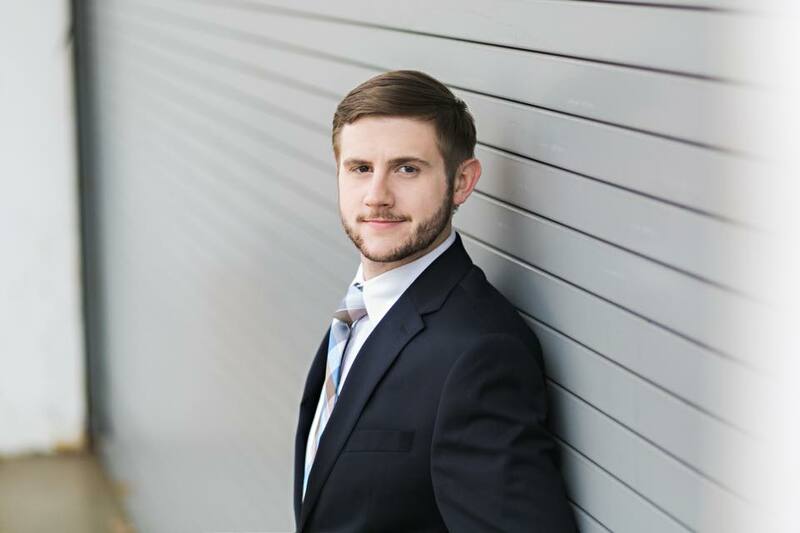 Tenor, Michael Brandenburg, is gaining recognition as one of the top young American tenors. He was the recipient of 2016 Grants from the Richard Tucker and Shoshana foundations; a winner of the 2015 George London Foundation Competition, Opera Index’s emerging artist award in their 2014 competition, and one of two Grand Finalists in the Bel Canto Competition in Chicago. In 2013 Brandenburg was a Grand finalist Winner in the Metropolitan Opera’s National Council Auditions. The 2016-2017 season began with a run of successful performances with a role and company debut at the Wexford Festival singing Anatol in Barber’s Vanessa. He then went to Chicago Lyric Opera to cover the role of Don José in Carmen, and went on to step in for the role making a successful company debut. He returns to the role of Pinkerton in Puccini’s Madama Butterfly, in his debut with Opera Theatre of St. Louis in Summer 2017, and repeats this role directly afterwards with Opera North. In the 2015-2016 season as a Domingo-Cafritz Young Artist at Washington National Opera he sang performances of Don José in Carmen, and covered the role of Froh in Wagner’s Das Rheingold. He debuted in the role of B.F. Pinkerton in Puccini’s Madama Butterfly to great acclaim. He rounded off his season with an impressive debut as Rodolfo in Puccini’s La Bohème at the Glimmerglass Festival. The 2014-2015 season saw him covering the role of Alfredo in Verdi’s La Traviata at Des Moines Metro Opera, his professional debut as Die Steuermann in Wagner’s Der Fliegende Holländer at Washington National Opera, and singing MacDuff in Verdi’s Macbeth at the Glimmerglass Festival. Equally at home on the concert stage, Brandenburg has sung performances of Verdi’s Requiem, Handel’s Messiah, and Beethoven’s 9th Symphony with regional symphonies. As an alumnus of Ravinia’s Steans Music Institute, he frequently sings recitals in conjunction with the Tucson Desert Song Festival, which includes a recent performance of Brahm’s Liebeslieder Waltzes. A native of Austin, Indiana, Brandenburg began studying voice while pursuing an M.S. in Aquatic Biology at Ball State University. He received a Jacobs Fellowship from Indiana University’s Jacobs School of Music, where he received a Performance Diploma.